Focal has landed themselves in a comfortable place. I think we all can agree to that, right? With their 2016 release of the Elear, which is still probably the best headphone sub-$1k, Focal is now setting their sights on the IEM market. They’ve released two new models: the Spark and the Wireless Spark Wireless. Today, I’ll be sifting through the Wireless version and judging on whether or not it is fit for auditory consumption. I don’t want to spend more than a basic run-through of time here. The box is cardboard. It is nothing at all special and probably not intended to be anything but very basic. No real accessories included, except a spare of white-ish spare tips for the IEM, small case, and a standard USB charging cable. Probably for the best that nothing else was included. I don’t want the price jacked up on these IEM’s, so I prefer this type of a presentation in headphones of a specific price tier like this. I don’t really care for more than this with anything but a top of the line headphones. The Wireless Spark has a small control panel on the cable, which I find to be immensely intrusive. The Flare Audio Pro had the same issue but in a different way. Thankfully, this Wireless Spark can be worn behind the head and not in the way, but if and when it is worn in the front, I find the entire experience to be something vividly negative. I am not at all fond of this. The control panel is off to one side and not centered, so it feels like one side of the IEM, while you are wearing it, is yanking on the cable a bit. Sure, the IEM is fairly lightweight, it is just I can’t see audiophiles wanting an intrusive design like that. Of course, the fit is very nice and the metal housings feel awesome. I have no complaints there. 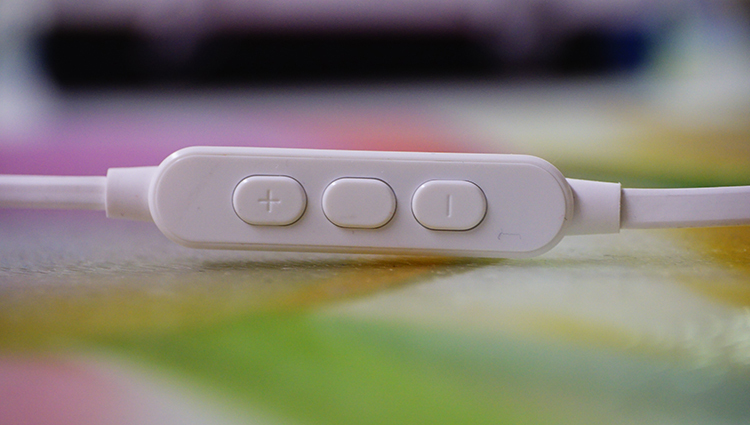 The tips are standard and nothing special, and the flat style cable is anti-tangle. Focal lists this IEM as a 9.5mm Mylar “wide and dynamic” frequency response, yet the IEM is rated at 20Hz to 20Khz, which is very common and not at all amazingly responsive to very low bass Hz areas. I have earbuds that cost $10usd that dip down to 8Hz. Does it really matter? Well, sort of. I can’t hear that low to begin with, but, I can feel that low if the track is actually even pushing frequency that low. So, that is an issue. For a $99 Bluetooth IEM, I’m fine with this though. It is what it is and it doesn’t bother me much. It still sounds nice enough to me. I just think if Focal wants to really cream the market at the $99 level, they need to be taking a look at the other excellent values at that tier. And this becomes an issue, due to the Spark (wired) and the Spark Wireless, or Wireless Spark as it was once called, sounding identical and also being identical internally in design. The only difference…the obvious BT circuit in the Wireless. Both models are rated at 16ohm, so you won’t need an amp if you do opt for the wired version. Sadly, Bluetooth hasn’t really jumped by leaps and bounds over the past era of audio. Improved? Certainly. But, still shoulder shrug-worthy overall. We have just a few gems out there that ended up sounding fantastic for a Bluetooth IEM, and surely, this Wireless Spark is on that short list pretty nice BT IEM’s out yonder. It connects fast and so far, I’ve not had any disconnects at all via my Bluetooth dongle for my home PC, or any other Bluetooth device I was able to test with, which includes a Hidizs AP200 portable player and a great new BT output node that I’ll be reviewing later. Everything sounds good, there is no doubting that. But, we are still leagues away from Hifi here on this Wireless Spark. I consider this experience to be a solid midtier product, despite being entirely Bluetooth. And that is a great step in the right direction to see. But, so far as I am aware, I could not dig up anything unique or useful in the way of new BT tech developed for this product by Focal. It is simply a good BT circuit in there as per what my research was able to uncover. Don’t expect a Flare Audio Pro here in terms of sound quality, but do expect a good experience overall without any lacking features. All that in a BT IEM is very desired by us audio nerds. I seem to get about 30ft of reach before the connection cuts out. The Wireless Spark has an abundant kick and slam factor down yonder, but only when cranked up to probably more than comfortable listening volumes. In fact, I know of another headphone out there called the Elear (also made by Focal) that has the same dynamic impact with regard to bass slam. This is not a soft and cozy set of IEM’s, these seem to be made for really rocking out and having a blast with your music. Quantity is on the low end of moderate. I consider this lacking in quantity and I find my EQ’s usually boasting some hefty bass enhancing to fill out the sound this product offers. Quality is very nice for this price tier, more than enough purity and typical “Focal” on that end of the spectrum. Just don’t go expecting it to respond well to EQ on the low end like the Elear does. This Wireless Spark handles it just okay. You can get a bit extra out of it, but there are times where I am rocking a +7dB in the bass and feel like I need more. So is Basshead listening is your thing, this isn’t for you. It is for you if you want a good quality all around and excellent dynamic impact factor. Almost all of Focal’s headphone sound the same with midrange appeal. A design choice, something clearly molded into the driver tuning, no doubt. And that is a great quality to note when designers want the desired sound and take some time to acquiring it. When they do that, I have respect for them, even if the product ends up sounding not so good. Thankfully, in this case, there is no problem with the sound. The entire midrange is clear and crisp, but it feels a bit overly relaxed to me physical placement locale. I am finding that substance factor (heft to the signature) is on the thin side. As a result of that, I can’t call it engaging enough for me on a personal level, but there sure are a lot of people like a relaxed midrange that sounds something other than velvet-like. The literal quality of the midrange is very good for $99, but not quite the alpha of the pack. I can name two other $99 IEM’s that trump it here, but neither of them were Bluetooth enabled. So, that is something to really consider when making your purchase at the checkout. 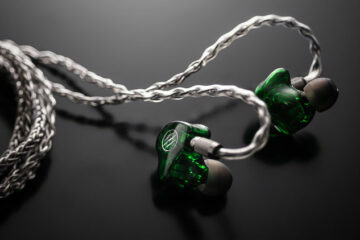 Do you want a very nice midrange quality IEM in a BT circuit design? This is definitely for you then. The BT node itself is not super bulky, but it is present enough to potentially bother you if you are a runner. As a cyclist myself, I have no issues with it because it doesn’t bounce up and down and dislodge itself from my ears, but I can certainly understand those runners out there will be finding that the slight dislodging of the tips in your ears will potentially ruin the midrange experience and make it much different feeling than when a proper seal is in place. As nice as I find the bass and midrange quality in a pure sense of the word, the treble is fantastic. And I mean fantastic. Just got off of the Flare Audio Pro (one of the best BT IEM’s on the market) and I think the clearly superior top end goes to the Focal here. But then again, is that a surprise? 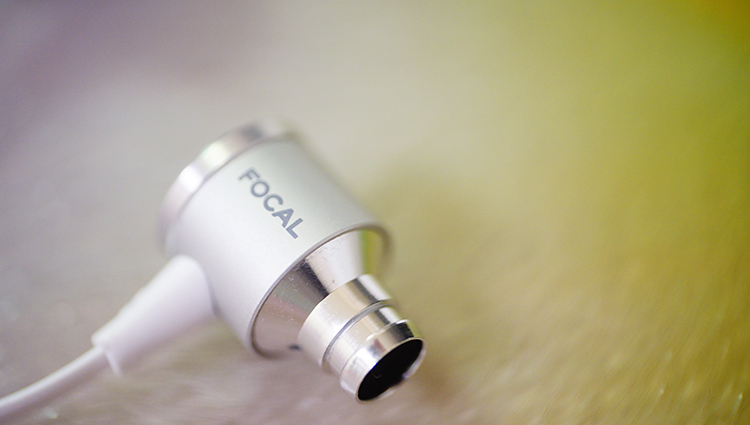 Focal does treble well, the Elear’s best quality was its sublime upper end. So too, is the Wireless Spark here. 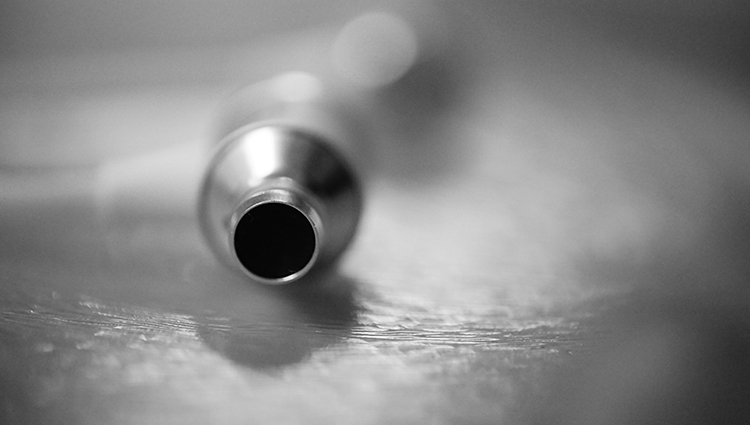 I find the tone and texture of the top end to be very appealing, interesting and nicely tuned for musicality. I don’t find it dry at all, nor overly potent. This reminds me a lot of the HE-6 from Hifiman, another headphone known for excellent treble. Tonality up top is musical, whereas I find the midrange and bass to be purer. The Elear shared that exact setup, by the way. So, while the top end is damned fun and immensely clean, it is something a bit off-putting to feel that clear differential between said top end and the rest of the experience. Is this a bad thing? Depends on your ear, really. I think quality overall is good enough to ignore tonality differences between the bass, mids, and treble entirely! But, I can see how critical listeners might find that to be a bit weird: abundant, excellent and plentiful treble with a subdued bass and midrange behind it. 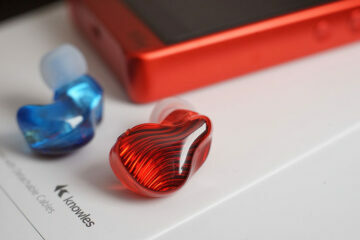 Treble lovers will, in fact, love this IEM. Sadly, the Wireless Spark has some issues with responsiveness. I seem to be able to crank my EQ up a fair amount in the low-end areas and get very little differences or improvements out of it. For example, a +5dB bass boost via Foobar2000 and a BT output node I received recently (which sounds excellent) does not alter the bass end of this IEM enough to warrant much praise. The same occurs with the treble end, but that area is really abundant and doesn’t require anything extra. If anything, there are times where I down-toggle nearer to 0-0 on the EQ bar for the treble ends of the spectrum. So dropping the treble EQ down a bit does not help as much as I’d hoped for. The Elear before it had been one of the most prominently responsive to EQ headphones I’ve heard in a very long time, probably the most well suited for it. I can’t expect the same in IEM’s. And I do not judge negatively $99 BT IEM’s for not housing exceptional EQ response. I don’t think the BT technology is quite there yet. The Wireless Spark has abundant treble, so you can safely assume that it will feel aired out and spacious to a specific degree…and that approximation would be true. This IEM has solid imaging but again lacks to the only other “Good” imaging BT IEM on the market (Flare Audio’s Pro IEM). And that isn’t a big deal at all. One of them is $99. The other is almost 5x that price. 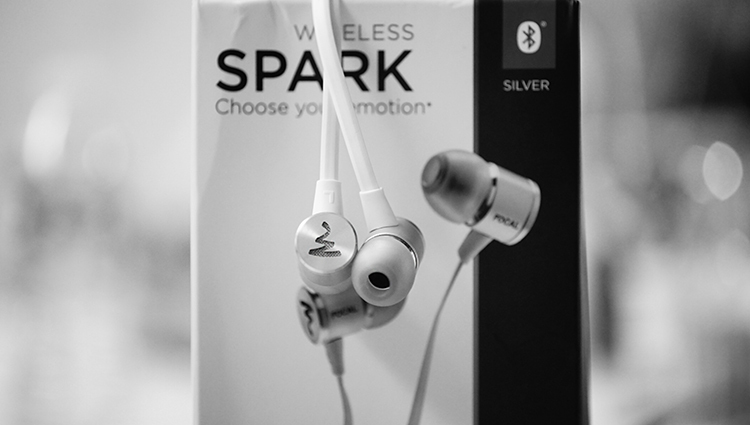 So for now, the Wireless Spark gets high marks for what it offers. While not very wide or tall feeling, the depth of field is still very nice and the aired out sense of appeal is also good enough to satisfy me. This is becoming a great trend in IEM’s these days, with companies spending more time to making sure their budget IEM’s actually sound spacious and not super closed in like most IEM’s of the past. We need more of this! Focal gets imaging though and this IEM shares the same setup of their full-size headphones in regard to soundstage factors: a good sense of center image with good depth of field, a clear jab at being an intimate sound instead of an overly large one (accuracy in imaging is very good) and separation of instruments ends up sounding pretty darn nice for a Bluetooth IEM…for any IEM in that tier, certainly. Noontec has just released an over-ear Headphone with a Bluetooth node platform. It looks like a Roku device if you have ever used one before. Noontec has, right now, perhaps, the best sounding Bluetooth output device that I’ve ever heard…and by a long shot. It will pair with any Bluetooth headphone so long as you sync properly and hold the power button on the device headphone and the Noontec node at the same time. This is how I’ve been using the Wireless Spark for the last few weeks when at home, around the house, around just outside the house, in the bathroom, cooking. You name it. I am absolutely in love with this pairing. I cannot stress how great it sounds overall and for the price? Good Audio Gods, a blessing for Bluetooth users. I’d buy the node from Noontec just for the same price as the actual package itself that included the headphone. Why? Well, its got such oomph and power behind it. I have a few “good” Bluetooth adapters for my PC and they just sound like trash with it. They also can’t sample out DSD + WASAPI + 24/32bit output via Foobar2000. I simply cannot do that with normal PC USB BT nodes. I’ve given up on BT nodes that are PC/USB Based. I am running my music through my Oppo 205 DAC normally, then routed into a ground loop isolator (because BT is hiss prone) and then I run a standard RCA output cables to the 3.5mm input on the Noontec node. When paired with the Wireless Spark, I am positively stunned by what I am hearing. Output via my Hidizs AP200, Samsung J7, and even the older AK120 and the sound is just fine. Out of a typical BT node for the USB, the sound is fine. Out of my Oppo 205 + Nootenc BT node, the sound is shockingly good for a BT IEM. Now, if only Focal would release their own BT node like Noontec has. 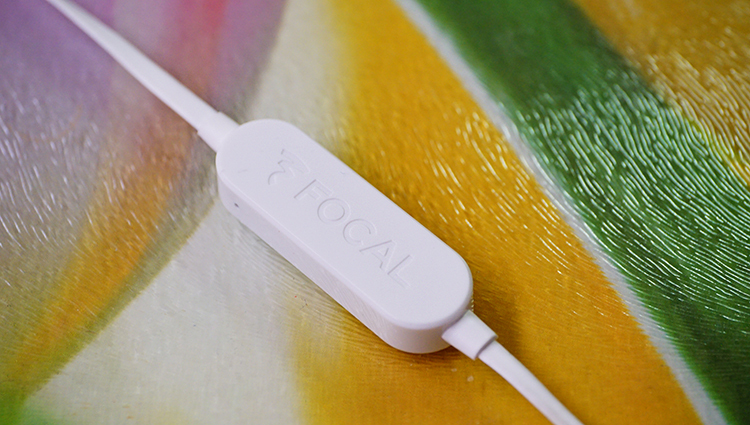 Focal can take over the market if they wanted to. Maybe, they should hire me as a consultant to help them with that…? In the past 2 years or so, they’ve proved they can design the best $999 headphone on the entire headphone market and also produce one of the best TOTL headphones in the multi-thousand dollar tier. Now, they are aiming for the budget IEM market and found a way to make the BT wireless version of this model sound as nice as it does. Wireless seems the future of audio, just take a look at what Noontec and Flare Audio have done for the wireless market. The next generation BT circuits from Focal are going to be monsters! I can’t wait. For now, the Wireless Spark is a great choice for excellent treble and good imaging properties. I have no real complaints here at all. I find the IEM to be tonally off-putting with conflicting tonality textures of bass and mids vs treble offered, but that only bothers me as a critical listener. When I am on leisure duty, I don’t even notice it and my ears are laser-focused on the top tier quality in the treble and good separation factor for a BT IEM that I am currently listening to. It is amazing being able to ride in the morning on my bike and not feel the cable flopping around or getting stuck on my leg. I can toggle functions on my source on a mounted DAP/Phone holder on my handlebars and I just cannot tell you how happy that makes me. Focal definitely scored a win here in the $99 tier with this one. Hardly any other very nice sounding BT IEM’s floating out there to begin with, let alone at the $99 level.